One of the coolest things about making art for Fortnite is that the game is regularly being updated and that we have the opportunity to work on things we want to polish. 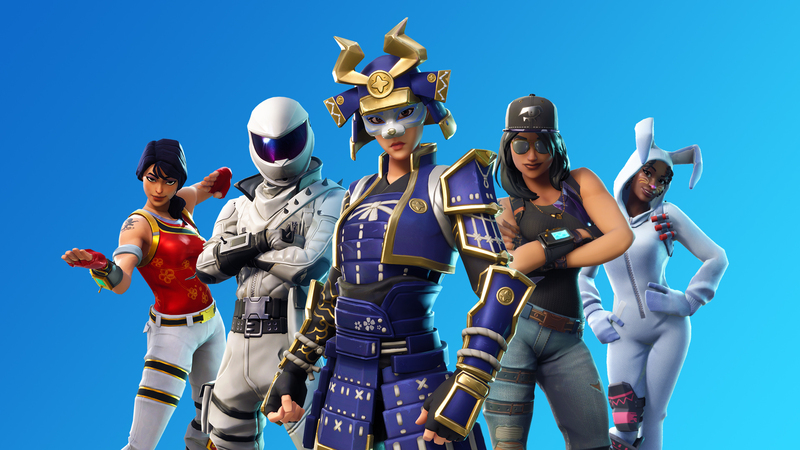 As we continue to develop the art of Fortnite, we’ve added new technology for creating cosmetics which enable us to add variety and customizations to existing outfits as well! Another bit of exciting polish coming online is the new consumable animations and effects. In the past when you got to enjoy that sweet slurp juice you had to use your imagination a bit more than we’d have liked during the drink animation. In this update you’ll be able to see your character pop the lid and drink it down. We’re updating all health consumables to make the gameplay feel more immersive than ever. Further into the future,we’ll be working on more outfit styles and other broad stroke improvements to the art of Fortnite. You can expect to see more improvements to lighting and the day/night cycle, improvements to wraps visuals, and much more. Thank you for your dedication to Fortnite and making all of this possible!